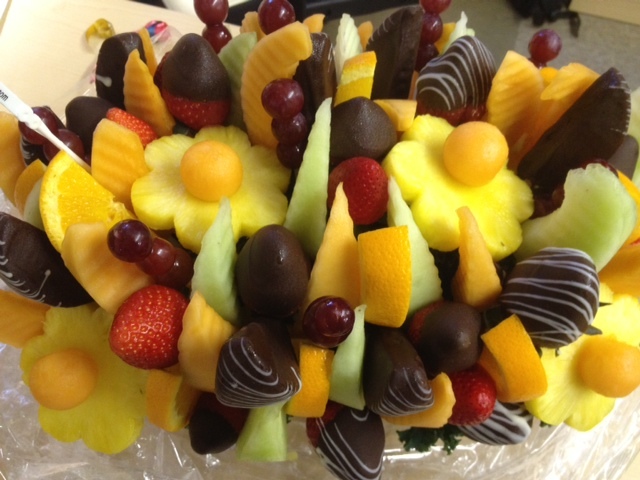 A perfect way to celebrate a big accomplishment at work was partake of this awesome fruit bouquet. Pineapple flower anyone? Sweetness … literally. I am pretty pumped about finally launching the new website I have worked on since I started my new job last summer. Eight months later, I can say, we have reached a major milestone – through all the craziness that it is to redesign and manage a reboot of Coolest Toys on Earth’s visual identity, we have a new look and feel for cool toys! A chocolate covered strawberry was perfect to enjoy this moment. 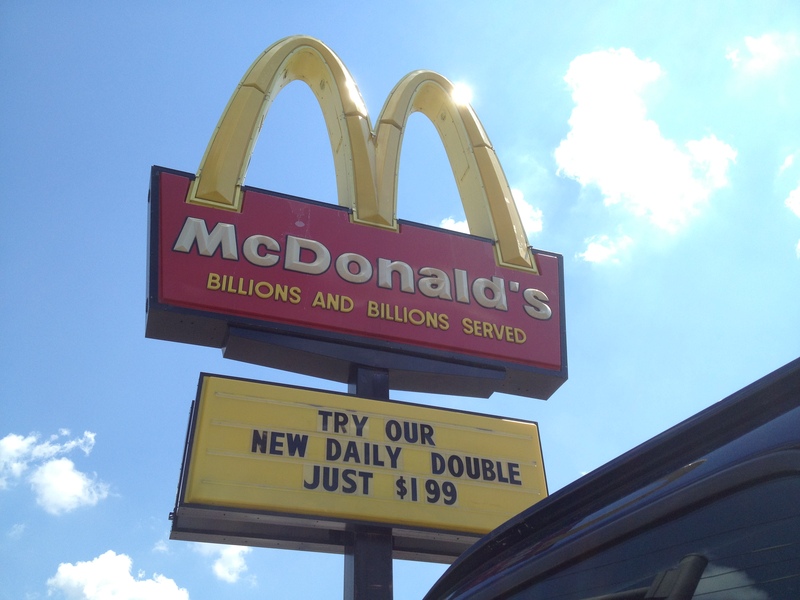 The McDonald’s Daily Double: Are You Fooled? Ever since McDonald’s updated the design of their restaurant buildings from the crazy-clown red and yellow motif that seemed to eerily scream ‘come to me kids!’ to a more substantial and calming brick, glass, and yellow design with their built-in McCafe’s, I have frequented them much more often. Their image is heading in the right direction – different eating areas for kids, young folk, adults, seniors, etc. Muted tones. Fancier and more lifelike display of food on digital signage. It finally seemed like McDonald’s was going to re-image itself as a higher-end quick service type of restaurant. That was, until I got fooled by their Daily Double. 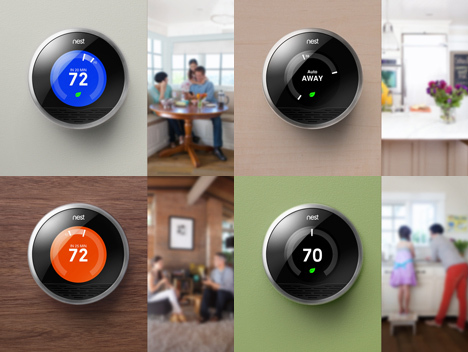 The Nest Learning Thermostat fought the odds of being just another thermostat, and wow’d everyone. In my recent purchase, frustrating setup, and review of the product, I created below two other executive-summary-style reviews on the technology and the marketing behind Nest’s Thermostat product. 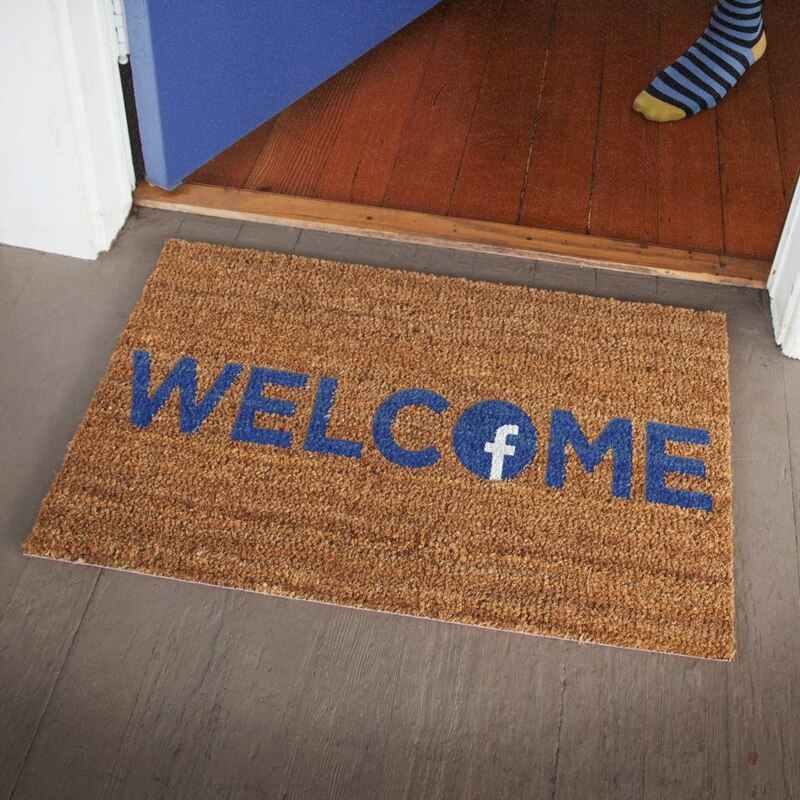 Some are surprising, some are downright aggravating, and some are areas for growth for either Nest or the industry. 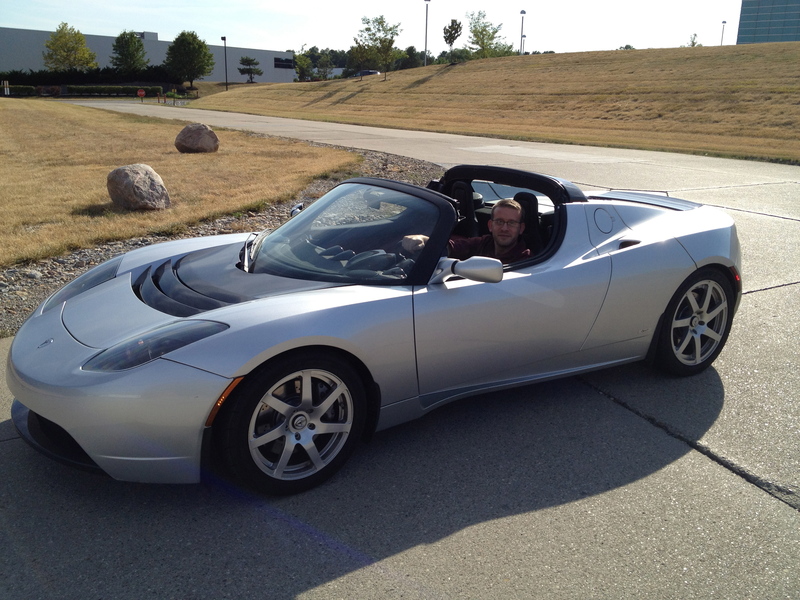 Have you heard of my Craigslist success story? Let me tell you a little about it – who knows, maybe life has been kinda rough lately – and you needed something ridiculous to boost the old spirits. Intently focused on pondering how to market and sell iVan. The 'classically aged special tint' windows are viewable in the background. The below advertisement appeared on my local Craigslist to sell my, how should I say this nicely, ummm …. 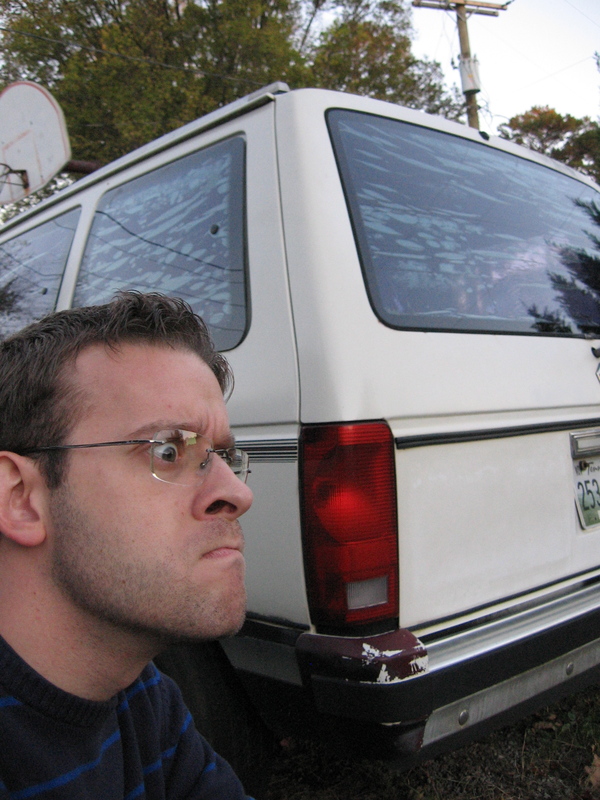 ‘lovingly used’ van. I just happened to be walking by the technology section of Walmart, and saw on the end cap, a big display for iPad. I was amazed to see such a product in Walmart – so I said to myself, “Self, if Apple has allowed it’s beautiful newborn into the likes of Walmart, then why not use their tag line and allow their ability to focus on the good and make not-so-great things sound okay bleed into a similar ad for your van?” I wanted little hassle on the transaction, make it colorful, and maybe even make it onto ‘the best of Craigslist’. I thought it strange as I was rummaging around the cupboard of my parents house this weekend when I found one of my family members had purchased an off-brand discounted can of cranberry sauce with its label upside down. The can did not stack well with other cans … because it’s bottom was at the top. I thought, “The label was obviously put on wrong and that is why it is discounted.” Mystery solved. 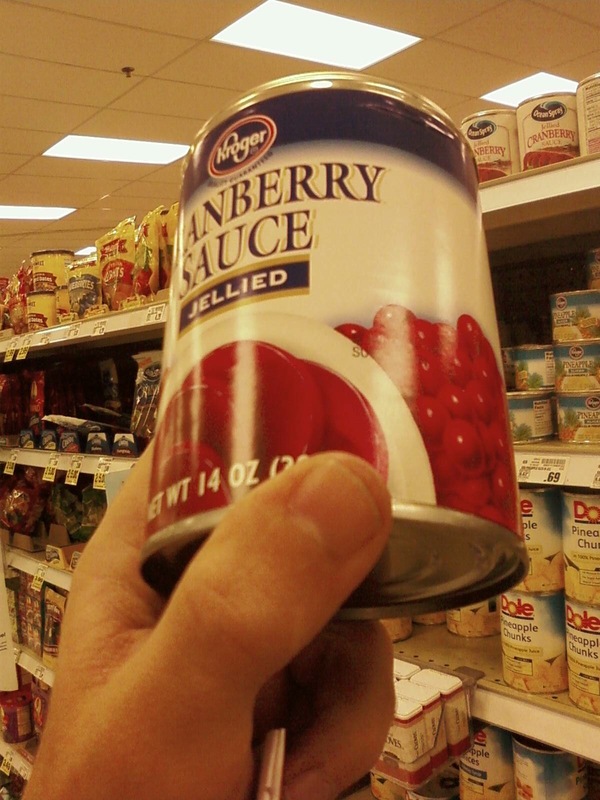 So just tonight, I went to my friendly neighborhood grocery store and what do I find there sitting in the Thanksgiving Preparation Area – lots and lots of cranberry sauce cans that had their tops (where you normally open a can) on their bottoms. It’s an epidemic across multiple manufacturers – cranberry sauce labeling machines have begun playing a ridiculous trick on us consumers! I took a picture of the can above because it raises an interesting question in design and user experience – WHEN do you design for? The Cranberry Sauce Manufacturer Association (CSMA) has decided that they will put the label on the other way compared to all other cans because now you can read the label as the cranberries slide out of their imprisonment. But hang on a second … who cares about reading the label? Do I think this as I am pouring out my can of soup … “I wish I could read this label as I fill my bowl!”. WHEN am I designing for – the selling, the storing, the pouring, or the discard. These cans do not store well because they don’t stack nicely with other cans. After the user pours the can out, they will place the can open-side up, which causes the label now to be upside down. Seems like it was not designed with the WHEN of storing and discard in mind. And if we take a step back, is not anything that a user buys in a can have an inner desire to be removed from said can? My Vegetarian Baked Beans wants to be removed, but you open their can from the top. My Albacore Chunk Light Tuna wants to be removed from it’s watery home, but it’s can opens from the top. Soup, fruit, vegetables, sauce … they all open from the top. Why did the CSMA buck the trend and put their opening on the bottom? It has to do with the ‘jelly’ aspect. Most cranberry sauces are jellied in some form – they make that strange gelatin-like cylinder shape. Also, the CSMA wants to make sure your Thanksgiving dinner is exactly like the commercials on TV where they ‘slice’ the log of jellied cranberries. Since all cans get shipped with their labels upright so they can be quickly stocked, the cranberry will naturally settle on the bottom (which in this twisted scenario is the ‘top’). So when you open the ‘top’ of the can (which is the cranberries bottom), the berries’ support structure is gone and they fall out as one large log rather gracefully. If the cranberries had settled the way most cans get packaged, the cranberry log that we know and love would have spoon scrapings all around it – this design actually saves us from dirtying a spoon. This now makes sense and the Cranberry Can Upside Down Mystery is solved. The WHEN that the CSMA designed for was the ‘using’, which in my humble opinion is the most important WHEN to design for. … Now I wonder how long did it take the CSMA to realize this when they started canning?